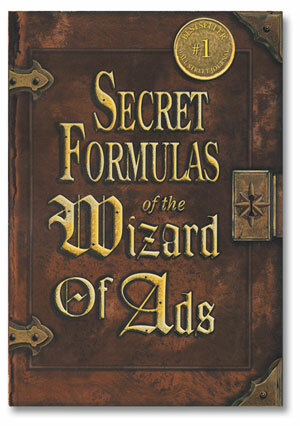 Roy H. Williams reached best seller status with Secret Formulas of the Wizard of Ads . Part 3 Side Door into the Mind and Part 4 Turning Lead into Gold supercharge your ability to rapidly enter a new idea into your mind or someone else's mind. How does the composition of human thought presented here differ from your definition? Why should you saturate your mind with poetry? What four things of power should be used with care and why? What does wisdom live in? Join us via teleconference at 512.716.6511 and enter the code 973640#, Tuesday, May 18, 2010 at 7:00 PM CDT. You'll increase your awareness of how your communication is hitting the mark. If you want to take action and improve the skills, consider the No Bull Branding Course at Wizard Academy in Austin, Tuesday May 25, 2010. It is a day full of delights for the mind and challenges to your paradigms. Keep taming your mind and living your life vibrantly. "I thought it was just a book about advertising!" "No!" I said, "It is a book about communication." Spring and summer are the communication seasons. April showers plus a little sun translate into spectacular bluebonnets. Young leaves dance the breezes like leprechauns. Birds, bees, spring and summer buzz. What's the buzz? There is no buzz if there is no one to hear and help move the message. So how do you become a master message crafter? Become a great story teller. You can improve your story-telling skills with three easy steps. Listen to and read great stories. Attend an event like the National Storytelling Conference. Listen to your favorite uncle who always has a great story. Build a portfolio of your own stories. Actually write them down. Edit your writing so your messages zings into the listener's ear. Increase your awareness of what makes a message lodge into the subconscious mind. May is full of opportunities to level up. Here are a few ways to increase your awareness that center around one book and one location. Read about 80 pages per week. Don't worry, there are lots of pictures. Meet with other folks doing the same thing once a week. Call in to (512) 716-6511 and use the conference code 973640# at 7 am CDT on Tuesday, May 11, 2010 if you want to join other MindTamers reading this book this month. What question does the publisher ask the reader to answer and what is your answer? Give an example of how the "most powerful force ever" makes a difference in your life. Where was the American Dream born and what two forces fueled it? How are you using the "bridge of magical fire" in your life today? June 1, 2010 at 6:30 pm at Laura's Library in Austin for the First Tuesday Book Club. All of these are open to the public. 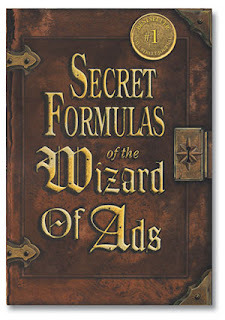 If you would like to meet the Wizard of Ads himself for free, go to the free public seminar on May 21, 2010. Don't delay, this event sells out every time it is offered. Here's to more successful connections in every aspect of your life. If you like this idea of a master mind book club, you can learn how to build your own successful book club or join ours as an insider. by Lori L. Barr, M. D.
© 2009 Lori L. Barr All rights reserved. Intellects study the unconscious habits of successful individuals and consciously teach those habits to students in memorable ways at this school. Want to attend? My son explored the campus one day last summer in plaid shorts. Richard said, "This is Disneyworld for your imagination!" Amazingly, more international students pay to attend than do locals. Just last week, the Chancellor closed the campus to the public due to repeated acts of vandalism and disrespect. Tempted to condemn the ignorance of the immediate populace? The individual who envisions the future and speaks to those who cannot hear is a recurring theme in human history. Homer mentions the gift of prophecy Apollo granted to Cassandra, princess of Troy for her beauty. She spurned his love; he gifted her again. Listeners suffered selective hearing loss when she prophesied. History confirms the expert's difficulty at home. The gospels of Mark and Luke recount the attempt of Jesus to bring His understanding and application of the Torah to his own country. Mark says the people were offended. Jesus said, "A prophet is not without honor except in his own country, and among his own kin and in his own house." In 1847 physician Ignaz Semmelweis, the father of modern antiseptic technique was dismissed from his hospital, ostracized by the Vienna medical community and believed to be insane when he suggested that hand-washing by physicians performing both autopsies and deliveries could prevent deaths of birthing mothers. He died in an asylum. World-renown radiologist Leonard Swischuk revolutionized x-ray recognition of childhood diseases. In 1985, I learned the art of pediatric radiology from him in Galveston. He was better recognized on the island as a tennis racquet stringer and shirt monogrammer. You share Cassandra's frustration and despair. Create a great idea and as fast as you show it to family, they remind you why you cannot profit from it. What four obstacles must one overcome to locally be recognized as expert? 1) Memory Entrapment. Human memory contains complex snapshots of encounters with other individuals. As a result, you earn a specific place in the mind of another over time. When your new idea is incongruent with their memory of you or even with your own memory of yourself, disbelief is the only logical result. 2) Complacency. In traditional education we play "Follow the Follower". We learn to be comfortable as a part of a herd. We want to wear what our friends are wearing and do what our friends are doing. Many adults freeze their awareness at this level. When you decide to think differently, the herd senses danger. Herd members work to pull the straggler back into the fold or, if matters become extreme, to cull the deviant for the sake of the herd. 3) Fear of Criticism goes unrecognized within one's own mind and kills the desire to create. Fear results in alibis and excuses that smother your idea before it has time to grow. Napoleon Hill studied over one thousand successful individuals and many more failures. In Think and Grow Rich, he states, "People refuse to take chances in business because they fear the criticism which may follow if they fail. The fear of criticism in such cases is stronger than the desire for success." 4) Familiarity. The more familiar we are with another, the more likely we are to find something we dislike. Experiments by Norton et al found that if one dissimilarity between two people surfaced, subsequent information is perceived as supportive evidence for dissimilarity. Dislike cascades. Individuals discount ideas from people they dislike. Bob Proctor is right, "What other people think about you is none of your business." Your business is what you think of yourself and how you choose to nurture your new ideas. The choice you make and your ability to overcome these four obstacles within your own mind correlate with expansion of your sphere of influence. Corporations hire "experts" to stimulate productivity. This means someone from outside the immediate metropolitan area who has an impressive presentation. Savvy leaders suspend their paradigms about their employees and the surrounding community. They look for locals who understand how to bridge the knowing/doing gap and also grasp the significant contribution the business makes to the community. 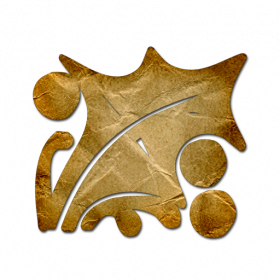 Uncover hidden treasures in your family, corporation and community. Who can you listen to and view outside of your preconceived notions? Recognize them as an undervalued local expert here with a comment. If you would like my list of ten undervalued local experts, drop me an email. Feel free to reprint this article in its entirety in your ezine or on your site so long as you leave all links in place, and do not modify the content. Do you ever feel like serious work is a waste in December? Personal and professional productivity screech to a halt during the last six weeks of the year. Complacency sets in and drives all thought of meaningful activity to a far corner of the mind. Below are three simple ideas to jump start your new year, 2010 and to kick that inertia outside of your ball park. Carry the Thanksgiving theme into December. Start every correspondence (voice or text) this month with a heartfelt message of gratitude for something the other person did that went beyond a self-serving boundary. Even if you do not personally know the individual with whom you are exchanging emails, recognize the ways they are improving the lives of others and specifically thank them for it. If you need help with those thank you messages, there is no better pro than Robyn Spizman, author of The Thank You Book. Have one holiday get-together designed to exchange ideas. My favorite gathering is "Yule Enjoy This Read" where I ask my most thoughtful friends over for a book exchange. This is at least half the fat of the traditional holiday cookie exchange! Each participant brings over one book that made them laugh and one book that taught them something new in 2009. They write their reflections on a card inside the front cover of the book. Books are displayed so that everyone has a chance to peruse the selections during the party. At an appropriate time, books are chosen using a lottery system where each consecutive person has two choices: pick a book that someone already chose or pick a book still unchosen. Those who get their choice taken away get to choose again from the unchosen books. Commit to taking your first 110 steps toward a new fitness habit. I have been using a 110 step program since I trained for the mid-adventure Montana Backpacker with my son's scout troop last summer. Focus on the number 110 and every day do some form of exercise with at least 110 repetitions. My week consists of daily 110 sit-ups, weekly 110 push-ups and 110 step intervals where I alternate walking, slow jog, fast jog and sprinting. Simple and effective. Actually, 110 repetitions of gratitude and 110 exchanges of ideas are great steps toward new social and spiritual fitness habits. If that seems like too much, baby steps will do! 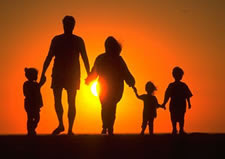 Alive or dead, estranged or living together, you and your mother share common memories. In the space between, that space where shared memories live, it is always here and now. Each memory lives in its own place. You visit that place anytime you choose through the power of your creative imagination. In his book, Outliers, Malcomb Gladwell acquaints us with the idea that it takes about 10,000 hours to become a world-class expert in any endeavor. Think back to your little life. Before your formal education indoctrination, you spent the majority of your day at the imaginasium. If you had a friend (real or imagined) to play with, anything was possible! The 10,000-hour rule works when the individual is actively trying to become exceptional at the task. Every infant, toddler and child with enough food, shelter and human contact to have basic needs met spends at least 5 hours a day actively using the imagination to create all manner of possibilities from whatever happens to be at hand? (Remember those kitchen pots, wooden spoons and pan lids?) She does that every day and in 6 years (10,000 hours later), she is a world-class expert at the use of her imagination. So face it, you really are a professional imagineer! Question is, when is the last time you practiced at it? We are stretching our imaginations in Razor’s Edge, the year-long mentoring program I facilitate with MindTamers. So far, it is uncomfortable to use a skill that is rusty…kind of like remembering how to ride a bike after a long while driving cars. It is amazing how with a few friends (we use the mastermind approach to the mentoring process), anything is once again possible. More than any of that, it is sheer fun! 1) Study your favorite secret agent. Is it Bond? Mission Impossible’s Jim? Maxwell Smart? 99? Maybe it is your persona you created for the latest Macheist adventure. Warning: Do not perform the following exercise in an airport. Your actions could be misconstrued and results would be predictable and unfortunate. The next time you are in a busy place, become a secret agent. You are working in tandem with your favorite agent and you must do your part or your city will suffer dire consequences at the hands of the villain of your choice. Make up a task that you must complete with all the finesse of a secret agent and play your part. Don’t stop until you complete your assignment or attract undue attention from those who might inflict punishment upon you. 2) Sign up for a MindTamers study. Conscious Thinking: Imagination is a three-hour seminar that is part of the Mental Muscles Series. On May 13, 2009 7:30-10:30 AM at 401 Congress Avenue, Suite 1540 in Austin, Texas get primed to resume your role as the chief imagineer in your field. Ready to sink your mind into more than you can possibly chew? We have a few spots in Razor’s Edge if you have a big enough goal and are ready to make a year-long commitment. Email me. 3) Revisit three memories with your Mother. Steal some quiet time and find that space between where that memory lives. Poke around in the corners of the memory and pull out every detail. Where do you smell her the easiest? While you are there, invite your mother to enjoy it as much as you are. Even if she has already passed, you can imagine her with you even now, holding your hand as you relive the moment together. Make that memory, the one of her in your present moment, sharing the moment of the past with you just as vivid as the memory of your past together. After all, you are a professional.